Kleine Künstlerinnen & Künstler machen großartige Kunstwerke! Buchen Sie jetzt Ihren ganz privaten Kurs und kreieren Sie Ihr ganz persönliches Kunstwerk! Please do come into Michaela Modl-Fuller´s Sweet Obsession wonderful world of English sugar art. In the last few years it has been noticed that this fascinating craft has also found its way into the Continent and to German speaking Nations. It is still developing rapidly, becoming a favourite creative hobby for many people both young and old. Michaela Modl-Fuller BEd is a cake desinger and sugar artist who has won a number of awards at International competitions. 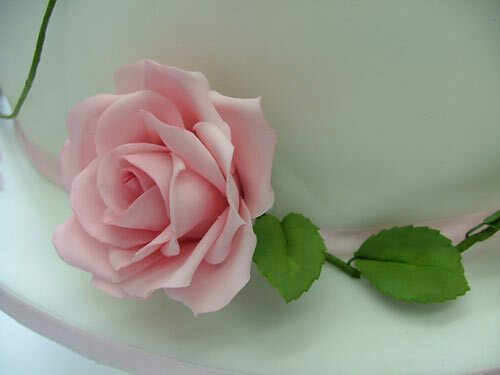 After her Sugarcraft training in England and many years of experience she has specialised in teaching different cake decorating skills as well as producing exquisite individual hand made pieces eg. sugar flowers and figures. She is renknowned for her professional precise and carefully executed bespoke sweet works of art. Sweet Obsessions studio is located in the 22nd District of Vienna. Courses may be held in English or German. All decoration pieces will be made from sugar, marzipan or modelling chocolate and therefore they are edible.